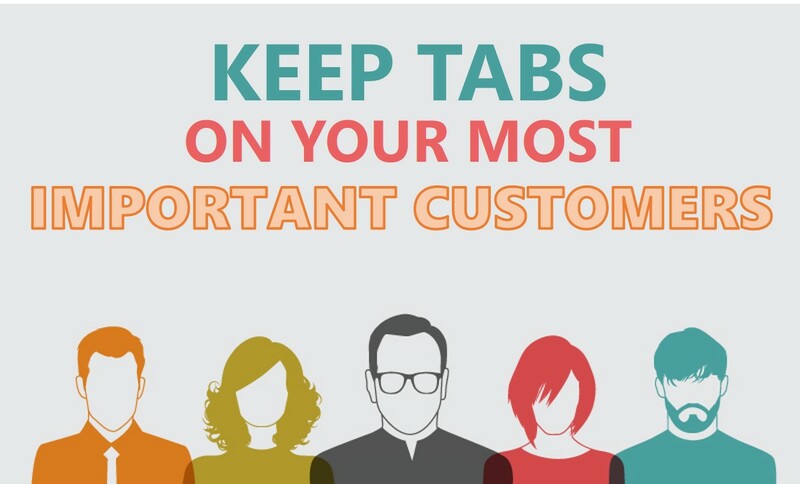 Keep tabs on your most important customers! Many small businesses rely on sales from just a handful of customers and in some cases rely on sales from just one or two customers. Having a high customer concentration puts your business at risk. If you lose your top customer, your business is at risk. CashFlowTool can help you to avoid this scenario and see the impact of losing your top customer. In this article, I am going to show you a few ways to use CashFlowTool to keep track of your most important customers and understand the impact of losing them as a customer. First, we are going to create a dashboard to highlight a few customer metrics. 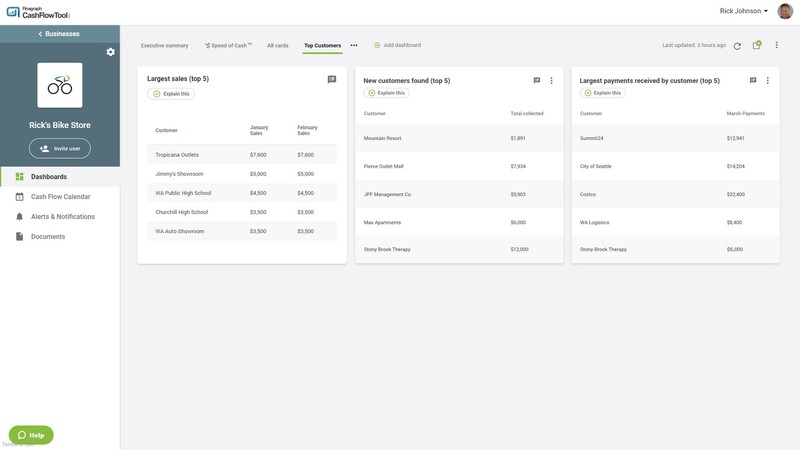 Your new Top Customer dashboard will now show you. 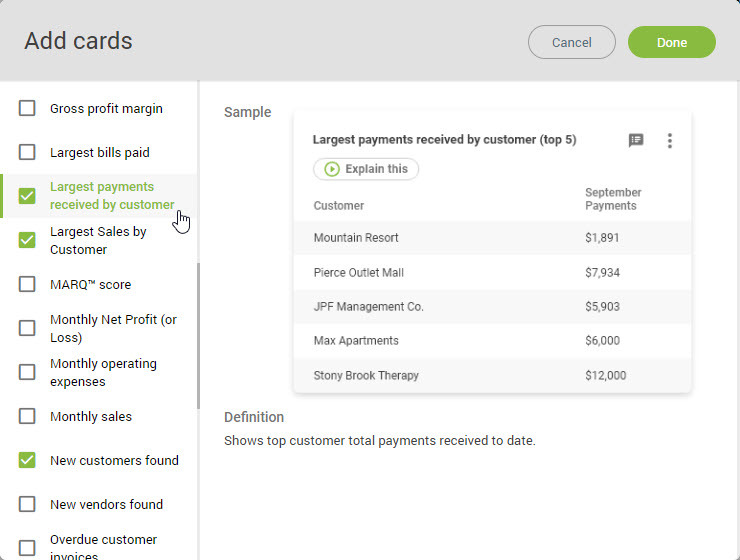 Now at a glance you can keep track of your top customers from a single dashboard. CashFlowTool makes it easy to see the impact of either gaining or losing a major customer. Now let’s look at what would happen if you lost one of your top customers. Switch to the Cash Flow Calendar view (look at the last day of the month and look at your cash balance). Here you will see your forecasted cash on hand for the next 90 days. In the search box, type the name of your top customer. The list of customers will be filtered based on your search. 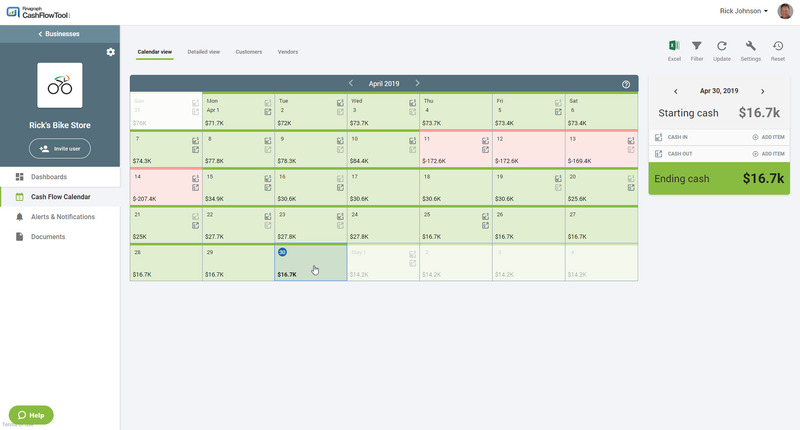 Now switch back to the calendar view and look at the last day of the month again and you will immediately see the impact of not including this customer into your forecast. Switch back to the customers lists and uncheck a few more customers to see the full impact. You can also easily model the impact of earning a new customer too. 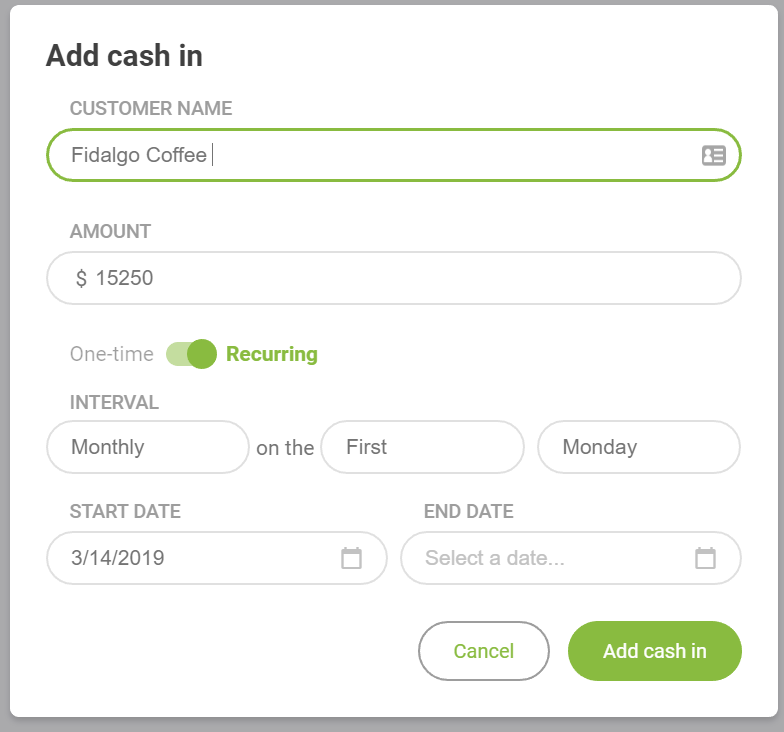 From the Customers view, select the Add cash in button. Enter the name of the customer, amount and recurrence pattern. For example, the first Monday of every month. Switch back to your calendar to see the impact of adding your new customer. CashFlowTool makes it easy to see the impact of gaining or losing major customers and who your business is dependent on. You can also share this newly created dashboard and updated calendar with your team members so they are aware of this impact as well. Watch our getting started video on how to add team members and set permissions.